For the dough making - I took equal amount of whole wheat flour with all purpose flour coz I don't have enough stock of all purpose flour. 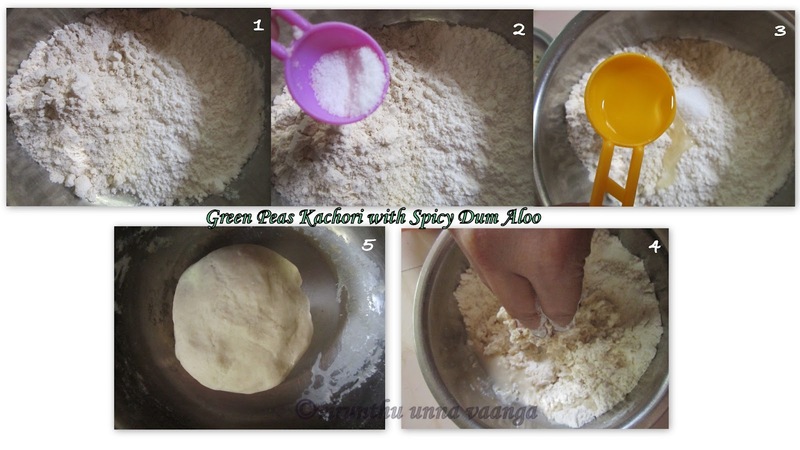 Take equal amount of APF and whole wheat flour followed by add enough salt and oil to it and knead the dough by adding little amount of water which is make chapati dough consistency and keep it aside for at least 30 minutes. First grind the washed green peas and green chillies in a mortar and pestle/Mixie to coarse mixture and keep it aside. THANK U SO MUCH SITHI TO HELPED ME!!! 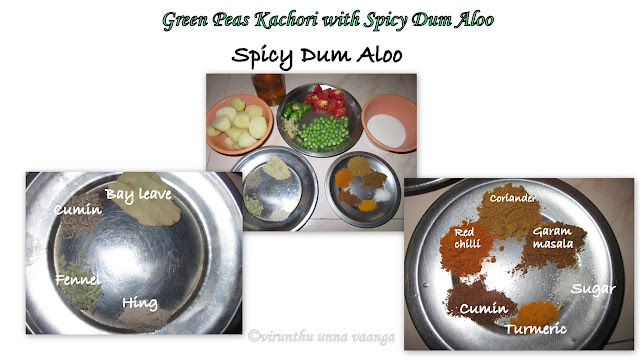 Heat oil in a pan, add hing and fry for 5 seconds and add the green peas and chilli mixture to the pan fry for 5 minutes followed by add the ginger, cumin powder, sugar and salt and fry till the moisture content evaporates... It required to make stiff ball like dough consistency for me it nearly takes 8-10 minutes and switch off the flame. 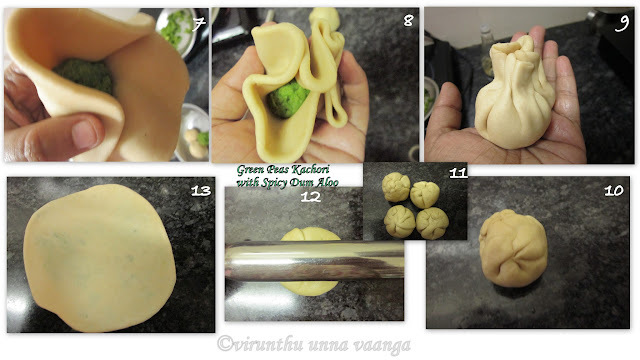 Take the dough and green peas filling and divide into equal balls like in gooseberry size. Heat enough oil for deep frying on medium-high flame but no smoky. Now flatten the dough with rolling pin in a dust counter top or rolling table into a small circle. 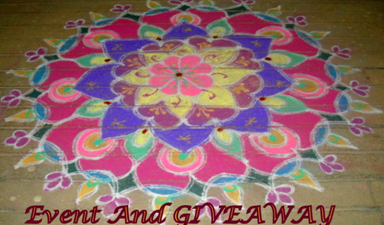 Place the filling ball into the center circle and cover the all edges and make a ball like shown in picture. Now flatten the stuffed ball with very careful and the stuffing won't be out from the dough. Next deep fry the disc in a oil until golden brown by flip it both sides and keep it in a absorbent paper. If you are using normal potatoes cut into cubes and shallow fry it in 2 Tbsp of oil in a pan till it turns golden brown and keep it aside. Now in the same oil add hing, cumin, fennel and bay leaves fry for 30 seconds. 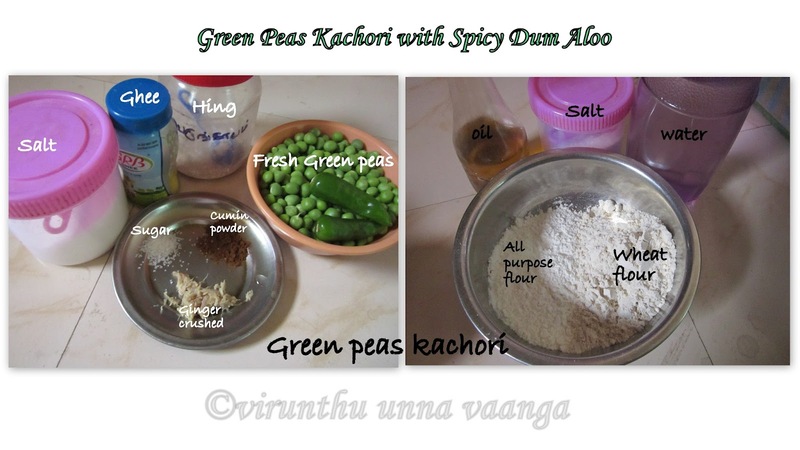 Add green chillies and tomato to it and fry for 3 minutes then add 1/4 cup of peas fry for another 5 minutes. 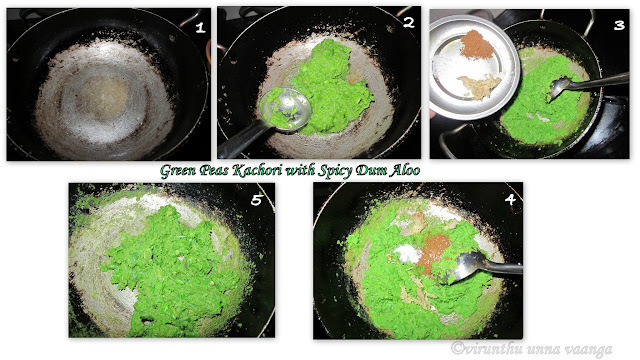 Now add turmeric, cumin, red chilli, coriander, garam masala, sugar and salt to it fry till the raw smell goes. Now add fresh cream to the mixture and stir it once and let it cook for 3 minutes then add 1/4 cup of water to it and allow to cook for 10 minutes. 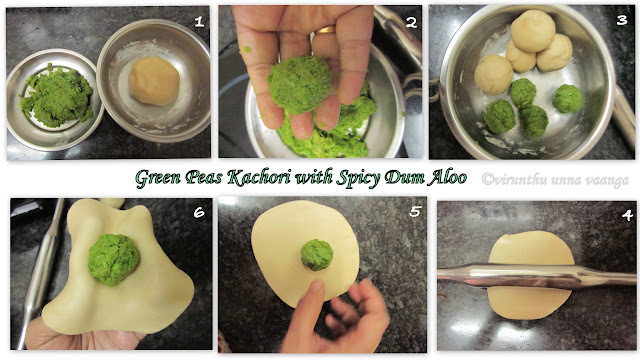 Garnish with coriander leaves and switch off the flame and ready to serve. 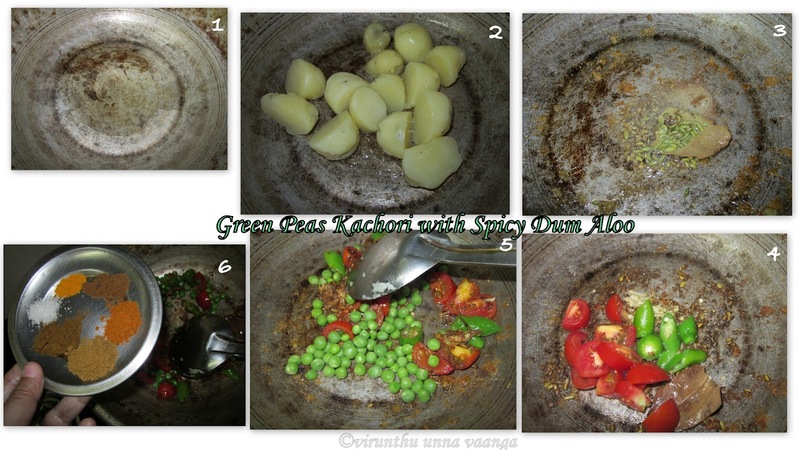 VERY INTERESTING AND VERY YUMMILICIOUS RECIPE!!! 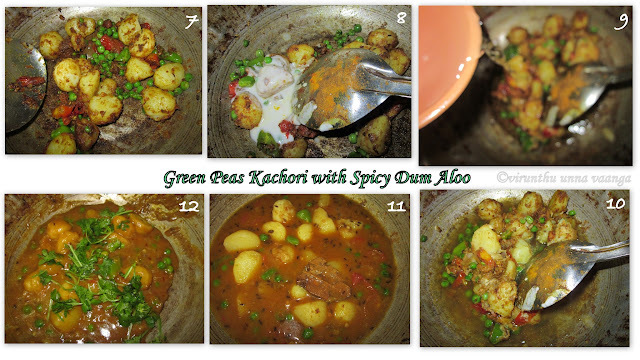 IN MY FAMILY WE ALL LIKED THE YUMMY KACHORI WITH DUM ALOO!!! 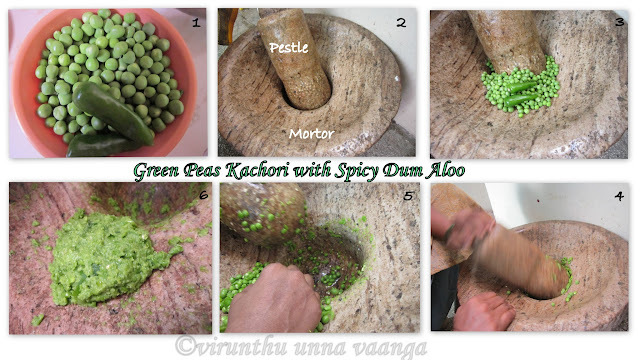 Your mortar and pestle looks fab.missing it so much though.The poori is excellent , love the crispness on outside and yummy peas in inside. Excellent job Viji dear. 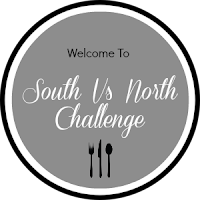 Loved your well explained and step by step clicks...Superb! Hope you will get your all back up datas very soon, don't be sad sister. very well made viji kachori looks yummy love it. made it well viji.. tempting combo of kachori and aloo..
Nice explanation Viji... well photography too... nice presentation. So sad dear. Really this is a very tough period for you... do not regret . you will get it. Very well made Viji! We missed you :) Hope things work out better soon. Kachori with dum aloo lookd delicious,perfect clicks. 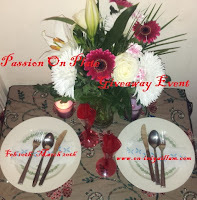 You have made it very well, Viji.. Well explained and love the pictures!! Awesome..
Nice job. Detailed explaining and good pictures. 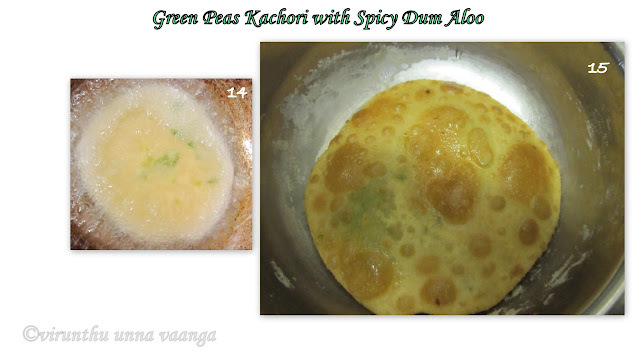 You did well Viji, both looks delicious. Clicks looks great. Sounds like a fun challenge. Your dish looks very very tasty too. Looks tempting & absolutely delicious, lovely color too! Sorry about your computer problems, hope you will get your data back! i love this combination :) seriously tempting ! Nice click love the way you have rolled the dough stuff is still inside. I had little difficulty with it.You have made it beautiful.